Before you read the rest of this article, sit back and close your eyes. Take yourself out of your land, your country, your office, your home, wherever you are. 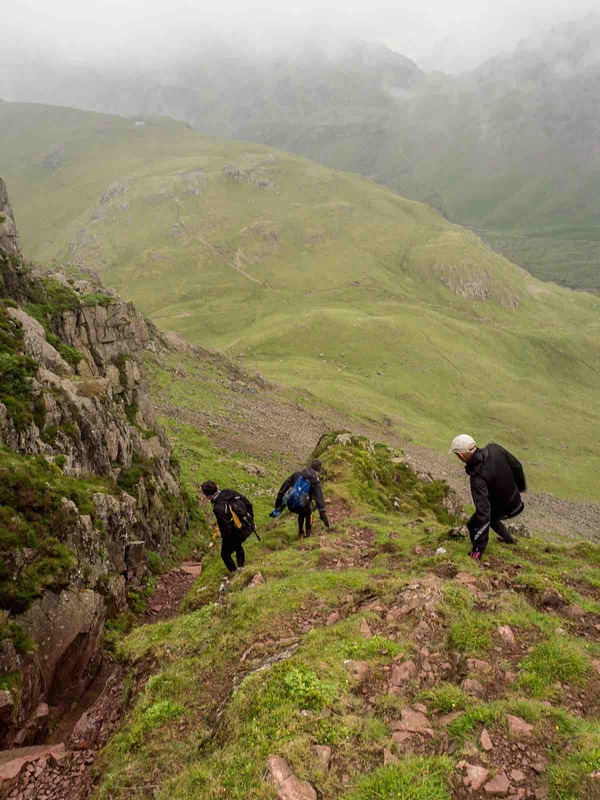 Imagine your feet planted on the grass and rocks of the fells in England’s Lakes District. There may be wind, rain, and fog, or there could be sun. You may find a trod, or you may face a trackless expanse. In your hands are a map and compass, and in your head a vision of how you might get from where you are to where you’d like to be next. You are a fell runner. Today, you’re headed toward those peaks looming in the distance. You’re in the middle of a Bob Graham Round, one of the three most-well-known United Kingdom rounds of fell running, which can be explained as a hybrid of orienteering and mountain running done for the love of a self-timed, honor-based challenge. To achieve the Bob Graham Round is to traverse the 66-mile, 27,000-feet-of-climb circuit of 42 peaks in the Lakes District of England in under 24 hours. 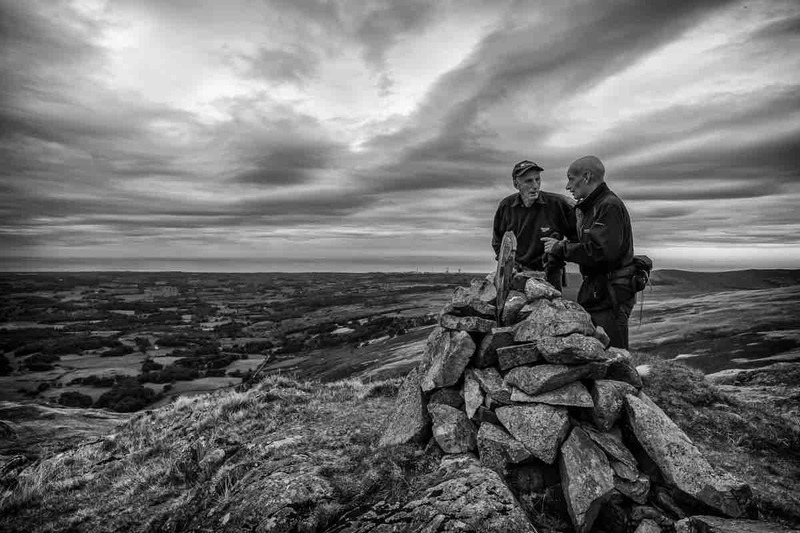 There is also the Paddy Buckley Round, which treks over 47 peaks in 61 miles and with 28,000 feet of ascent over rougher terrain through Snowdonia in Wales. The third round, the Ramsay Round, is in Scotland and includes 24 summits while climbing about 28,500 feet over the span of 58 miles. These challenges are not typically and traditionally done solo. Concerns of safety and considerations of camaraderie come into play. That is where Steve and Wynn Cliff can often be found. The pair has supported hundreds of attempts on the Bob Graham Round and the other two rounds. When you enter the Bob Graham Round community, names and faces become familiar, Morgan Williams said. 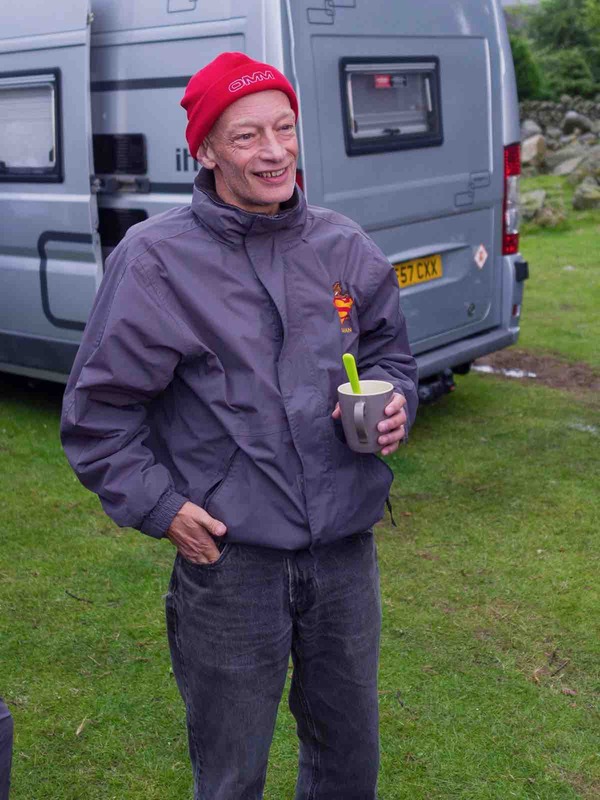 Morgan became the Secretary of the Bob Graham 24 Hour Club nearly 12 years ago and works with hundreds of people attempting the round, their pacers, and their supporters. The names Steve and Wynn Cliff continuously crop up each year. Steve’s pacing and and crewing support and Wynn’s crewing for some who attempt the Bob Graham Round are spoken of in hushed tones, he said, as if the magic of these two remain a secret. Steve and Wynn Cliff are legends of fell running and round running in the U.K., epitomizing the spirit of the sport. Their tireless support for the community and the challenges its members undertake seems to be understood, appreciated, and honored by everyone who has met them. So who exactly are Steve and Wynn? Just two people who fell in love with each other, with the sport of fell running, the Bob Graham Round, and the people who undertake these challenges? Yes, they are those things–and more. They are two people who keep going strong together, while inspiring others to do the same. Steve and Wynn Cliff have been married for 21 years, celebrating their marriage ceremony at the Newlands Church, located in the Newlands Valley of the Lake District. Steve grew up in Liverpool and Wynn in Manchester and they now live outside of a village called Shap in the eastern Lake District. Steve worked in financial services in the banking industry, working globally for years, which, he says, “broadened his horizons.” Wynn held a few jobs, but mainly took care of their two daughters who have brought into the Cliff family nine grandchildren and one great-granddaughter. She now works full time caring for Steve. Steve is the runner in the family. He started running in 1976 as a way to kick the smoking and drinking habit, he claimed. He stuck to the roads for a few years–reaching a 2:36 marathon best–until a good friend named John Wright began taking him on longer and longer runs. His first ultra-distance race was Yorkshire’s Lyke Wake Walk, in which he finished in third place. Steve hanging out before running. Photo courtesy of Steve and Wynn Cliff. In 1992, he trained for his first Bob Graham Round, which he finished in 21 hours. These rounds are not considered trail or ultrarunning, instead considered as fell running. “’Fell’ is a term for a high and barren landscape,” he explained. Trail running involves traveling defined trails, while fell running involves covering the open ground with no defined route. 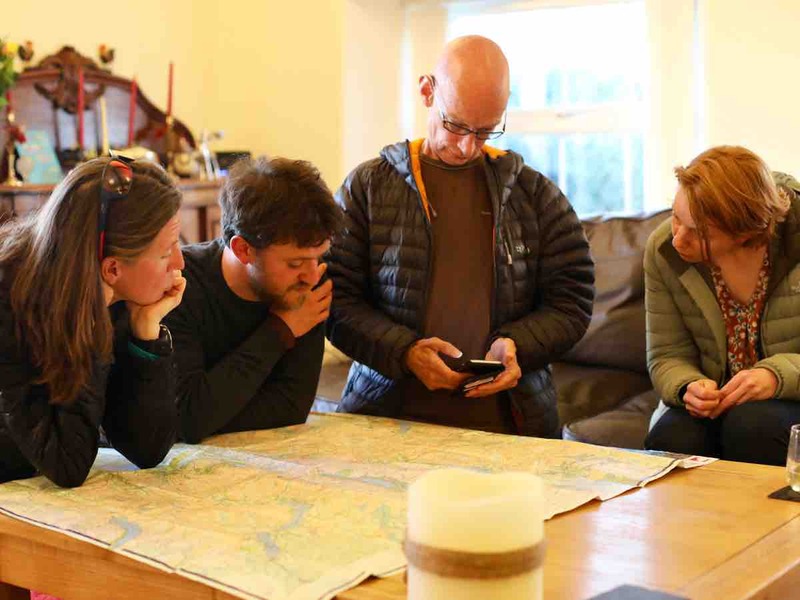 Perhaps more importantly, fell running requires route-finding and navigation skills—the abilities to onsite efficient lines and to use a map and compass to progress even if the Lakes’s frequent bad weather obscure your views of the terrain. The Bob Graham Round originated in 1932 when a Keswick man—Bob Graham, obviously—made its first loop, finishing in just under 24 hours. The feat has now become popular, largely among British fell runners and trail runners and more recently by international mountain runners, and has now been repeated a couple thousand times. For example, in 2016, the Bob Graham Round 24 Hour Club received 166 registrations, and 79 of those registrants finished in under 24 hours. 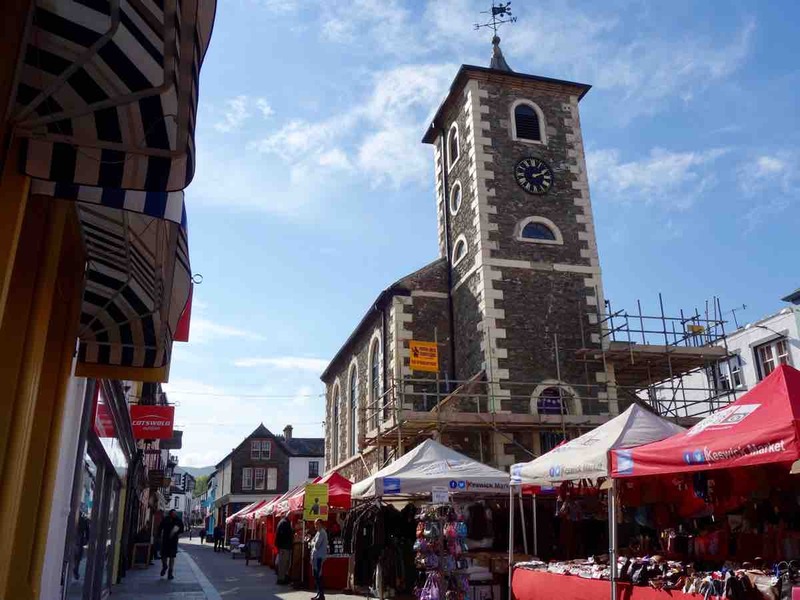 This challenge, to fit in all 42 summits in one day in a loop, starting and finishing at Moot Hall—an assembly hall turned tourist center originally built in 1571 (it’s been rebuilt a couple times since)—in Keswick, where Bob Graham himself did the same, is not easy. The long day of hills with a lot of ascent and descent, the ever-changing weather, and the mental focus all this requires, set the average success rate at 40 to 50 percent. With help from the Cliff crew, that success rate shoots up to 95 percent. Leading up to this feat requires planning. Along with the physical training, Steve said, you must believe you can do it. When you’re on the round with the Cliffs on your side, all you have to do is run. Steve describing this course is beautiful. To him and many Bob Graham Round devotees, this is not just a running exploit to conquer. It is an experience that infiltrates the rest of your life. Wynn looks at crewing as a job. It is her job to support runners with food, drinks, and supplies, while making sure there is no whining, complaining, or stopping by the those who’ve chosen this voluntary adventure. “I am a good organizer–read ‘bossy boots’–and my role tends to be mummy, motivator, problem solver, caterer, and first aid,” Wynn explained. Her strong personality is a reason many of the runners she supports get to the finish, otherwise, face her punishment. Many a Bob Graham Rounder has said that the physical challenges of finishing a round are far easier than the mental challenge of facing Wynn upon quitting it. Ian Roberts, a member of the Bowland Fell Runners from the Forest of Bowland area south of the Lake Distruct, is a 20-plus year friend of the Cliffs. The Cliffs give so much of their own time and efforts, so much of themselves to this round and to fell running in general, that one day, it gave something back. 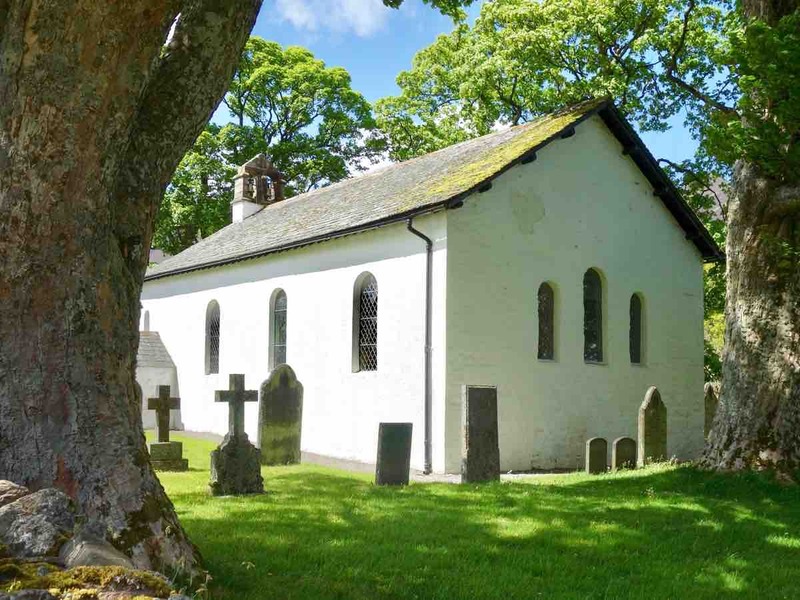 For years, Wynn has stood at the little white church that sits off to the side of the final hill on Leg 5 during a clockwise round, which leads to a five-ish-mile road run back to Moot Hall in Keswick. For years, she has watched the fading lights of the runners pass this church, heading toward the finish point. So, it was at this Newlands Church overlooking the Newlands Valley, after years in a long-term relationship and at a place Wynn and Steve had both grown to love, where they tied the knot of marriage on April 20, 1996. 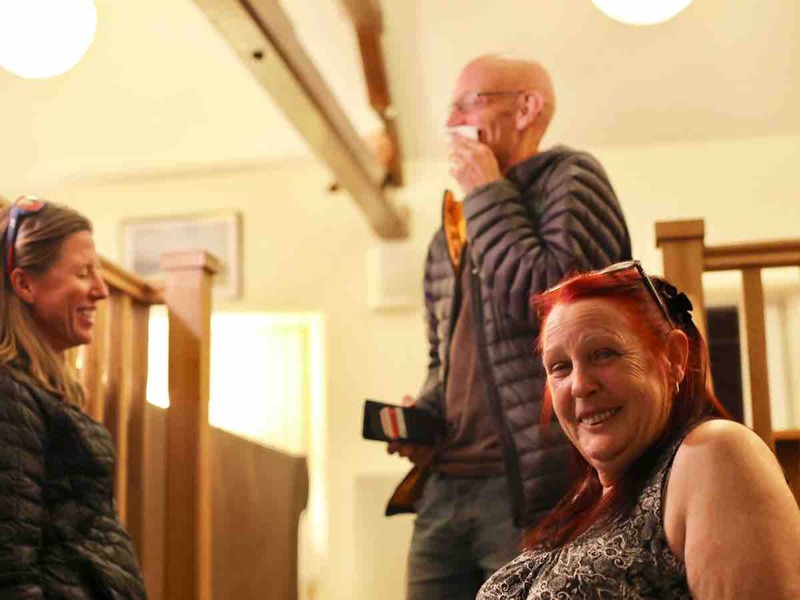 Since then, the two have directed their own series of races on their anniversary called the Anniversary Waltz Fell Race, which was just held for this year on April 22 and which starts and finishes in the Newlands Valley. They celebrated with some 1,000 runners across all of the race’s events, including some 445 finishers of the 11.5-mile course with 3,600 feet of gain through the mountains that surround the church. The weekend also includes a 15.4-mile race with 7,600 feet of ascent called the Teenager With Altitude Race and the Junior Race, composed of varying age-graded courses. Coming back to where we started, that in-the-moment feeling of standing upon the grassy fells of the Lakes District, with the peaks encircling you and that little white church in your own hopeful future, I want to remind you to thank it, accept it, and understand the history behind it. Sometimes we take this sport for granted. We answer, “Oh, just another 20 miler this weekend,” to our work colleague. Or, “It’s just running.” That is my go-to phrase, “It is just running.” But it is not. It–whether trails, roads, or fells–is more than just a sport. It is a sport that brings life and breeds love. And it’s also a thing that can be taken from you at any time. Steve’s running is slowly being taken from him, yet the power of this community and the history of running in the U.K. has motivated Steve in more ways than can be documented here. Several years ago, Steve experienced a rapid and significant decline in his health. In 2014, he was diagnosed with celiac disease. Once off gluten, all that energy that had been missing for years came back to him, he said. Yet, in that year, he started to experience other odd manners, particularly with his speech, such as the slurring of his words. The following year, in April, now a little more than two years ago, he was diagnosed with progressive bulbar palsy, a form of motor neurone disease similar to amyotrophic lateral sclerosis. He was given 18 months to live by his first consultant. Motor neurone disease (MND) is a rare disease affecting only two in 100,000 and has little research into it. Steve knew he could not survive one day of living with his head hung low due to this disease, he said. 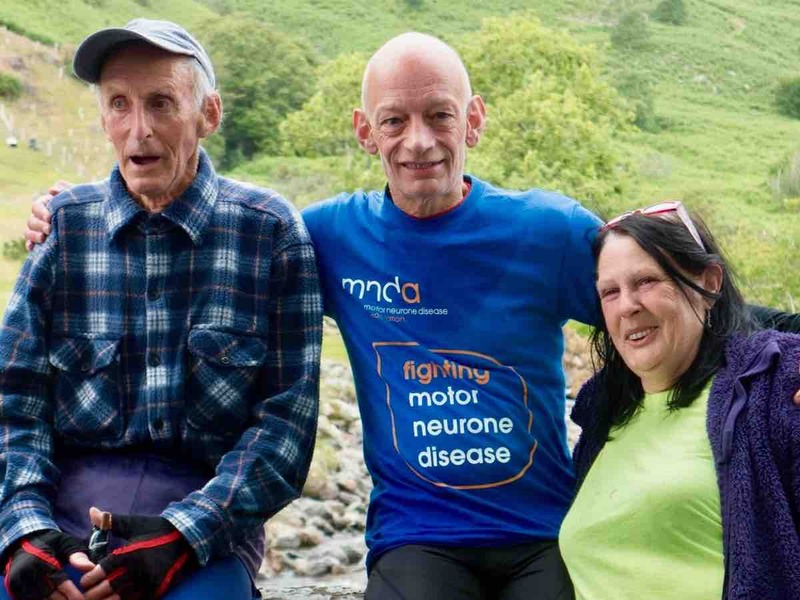 Steve and family running a 5k together for MND awareness. Photo courtesy of Steve and Wynn Cliff. 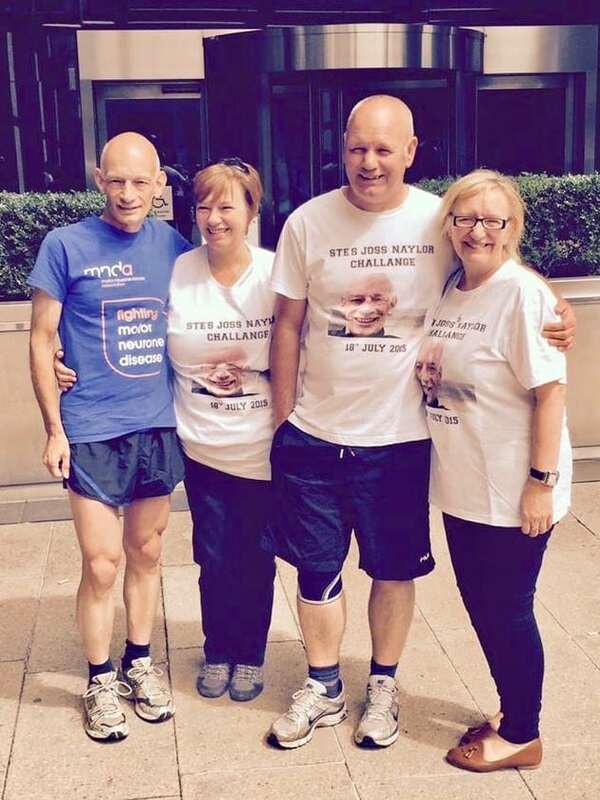 July 18, 2015, a few months post-diagnosis, Steve attempted the Joss Naylor Challenge. Another personal-adventure challenge developed in 1990 by fell-running legend Joss Naylor, it is a point-to-point route that’s 48 miles long, hits 30 summits, and involves 17,000 feet of climbing. Generally undertaken by fell runners age 50 and older, there are age-graded and gender-graded finishing standards. Men between the ages of 55 and 60 are given 15 hours to complete the challenge. On that atrocious weather day in July and at age 58, Steve finished in 13.5 hours. 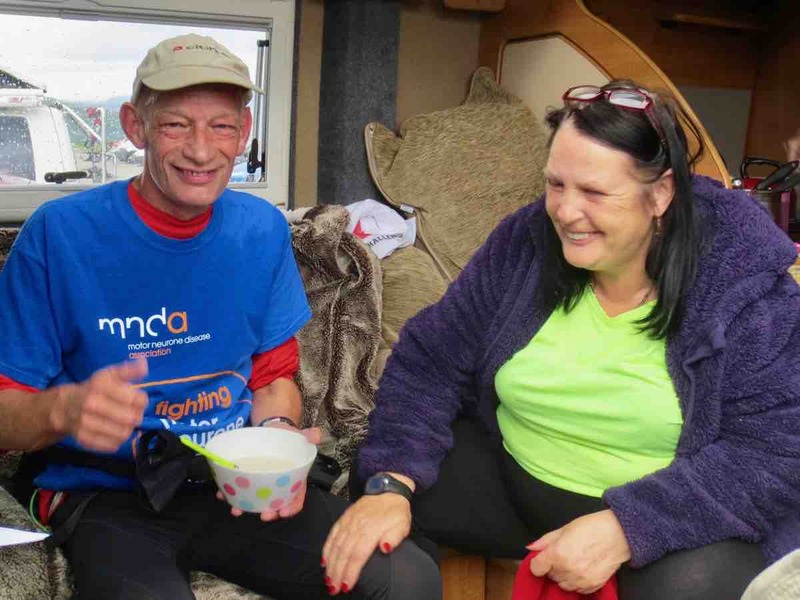 He was pleased with his time and his ability to finish, which was never a factor in his mind, but he was more pleased with the amount of money he raised for research on and awareness he spread about MND. The idea to complete the Joss Naylor Challenge had been in the back of his head, a “bucket-list” type of thing, he said. That was one reason to start the challenge, the other was simply knowing that he could do it. The disease has severely affected Steve’s speech, now making talking impossible. Instead, he writes. He was focused, but it was hard. Headwinds, cold temperatures, big ascents, and steep descents hit him the entire way. Babying those muscles that would soon be affected by the disease was also a constant struggle. “MND was always somewhere lurking in my mind, but amongst these beautiful mountains, even that ogre can get lost now and then,” he said. Crowds of applause and support met him and his pacers throughout the course and at the finish line, including Wynn and his family. A future goal Steve made two years ago is to attempt the challenge again at 60 years old, but the questions of “Is this right for me?” Is this the right time?” have started to come into mind, especially with the disease taking a large toll on him over the last year, he said. If Steve can’t run the challenges himself anymore, he still considers there to be many ways to participate in and give back to the world around him. Continuing to raise money for charity: yes. Organize a race for other runners: yes. Get more involved with supporting the sport: yes, with his secretarial position for the Fell Runners Association. When it came to MND, it was different because it was now more personal. Steve accepts that his path on earth is different from others’, but he will also agree that it’s sad to think about things he isn’t able to do anymore, now and in the future. When that first celiac-disease diagnosis came, Wynn was just happy the problem was solvable. When the next blow came, a bigger effort than just making the house gluten free was required. When the Joss Naylor Challenge came up, Wynn was ready to become challenge supporter once more. 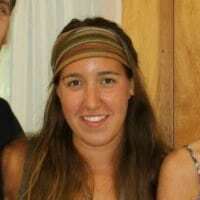 She received word from 80 people who wanted to come out and ‘play’ with Steve on the trails, she said. As Steve experiences more problems with eating, drinking, and his speech, Wynn admits she gets more worried for him being out on his own for runs. 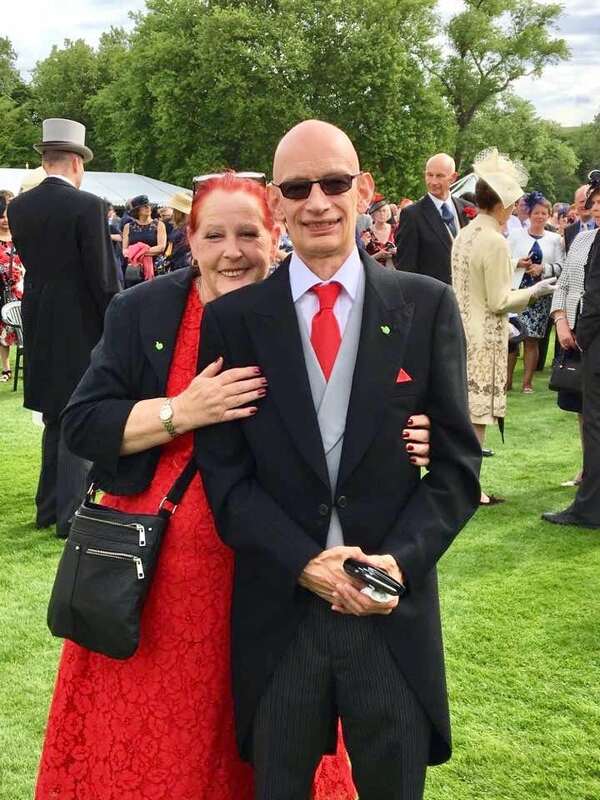 Wynn and Steve at the garden party hosted by the Queen of England at Buckingham Palace in London earlier this week. Photo courtesy of Steve and Wynn Cliff. This weekend, Steve and Wynn (and Morgan, too) will play Bob Graham Round supporters once again, this time to a runner hailing from outside the fell-running community, iRunFar’s own Meghan Hicks. While Steve is physically unable to pace Meghan on the fells as he has dozens of times in the past, he will join forces with Wynn at the round’s four road crossings to support Meghan and the crew of pacers the Cliffs have assembled to aid her as she attempts an under-24-hour finish of the Bob Graham Round. This film short by West Pictures, made public just a few weeks ago, provides a brief but intimate window into the current world of Steve and Wynn, and the heartbreaking life journey they now face. Before, when Steve thought about “life’s bucket lists,” it was images of races, heading to sandy beaches, and hiking up mountains. Do you know Steve and Wynn Cliff? Have you been supported by them on an attempt of one of the U.K.’s rounds? Or have you run their race? Leave a comment to share your story about the Cliffs. Steve and Wynn sharing a moment of laughter during Steve’s Joss Naylor Challenge. Photo courtesy of Steve and Wynn Cliff. Steve and Wynne are very nice people. They’ve given a lot to the Fell running community and are thought very highly of within the Fell running world. Fantastic race organisers. I was welcomed into the Cliff’s home when I attempted (and failed) to complete a mid-winter Bob Graham Round in December of 2011 (shoulda kicked me in the arse a little harder, Wynn!). Steve was away on business, but his presence as a man of the Lakes was plain as day, and indeed a few items of his running clothing were loaned to this thoroughly under-geared Brit who’d been living under luxury of Colorado’s sunny skies for too long. Despite atrocious conditions on the peaks, I was escorted and crewed around the peaks by an incredible crew of enthusiasts, none of whom I’d know for more than a day, and all of whom had been assembled by Morgan Williams and Wynn. And the food … Wynn is an incredible cook and her aid station treats legendary. Enjoy the tour and hospitality, Meghan, and a hug to the Cliffs from me! Clarky, when are you going to give the BGR another go?! I knew you were getting soft Clarky. Be cool to see you here again. I volunteered to pace you Nick; Wynn told me I was on Leg 3; the longest and toughest one! We set off up Steel fell from Dunmail Raise with Bill Williamson. The weather wasn’t great and I wasn’t fit enough for your pace so I ended up dropping out before Bowfell just as it was going dark, I descended into Langdale, safe and out of the worst of the weather. The problem was, my car was at Dunmail Raise and my keys were in Wasdale, safe in the pocket of the aforementioned Ian Roberts who was helping with road support. How I got home is another story but you went on to have an epic with Bill on Leg 3 before having to drop out at Wasdale as you were too far behind schedule. I hope you decide to come back for a summer attempt, if you do I might be fit enough for leg 5! A truly moving and greatly inspiring story. I wish you all continued strength in the days and months to come. I first met Steve in about 1979, when I ran a small business on St George’s Quay in Lancaster. I used to run from the University. In those days the staff had time to run in their lunch break. Steve was one of a small group from the Computer Department, all good at running road marathons. A few of us had begun running on the fells every Thursday evening, as training for the Bob Graham Round. We invited Steve. He was a natural fell runner, light on his feet, and fast. After he had completed his BGR in 1992, he turned his attention to my tougher round in Snowdonia. With his good friend Yiannis Tridimas, also from Liverpool, they set out to extend the Paddy Buckley Round on June 1/2 1996. Yiannis and Steve were a good team, and with Wynn providing excellent support, Yiannis went on to produce the seldom repeated Meirionydd Round the next year, and a little later in 2000, added an extra top to Rob Woodall’s Cuillin Round record. My brightest memory is of the whole team supporting Rob from the JMCS Hut at Coruisk, with Wynn Cliff in charge of catering. Support at its best. There is nothing finer. 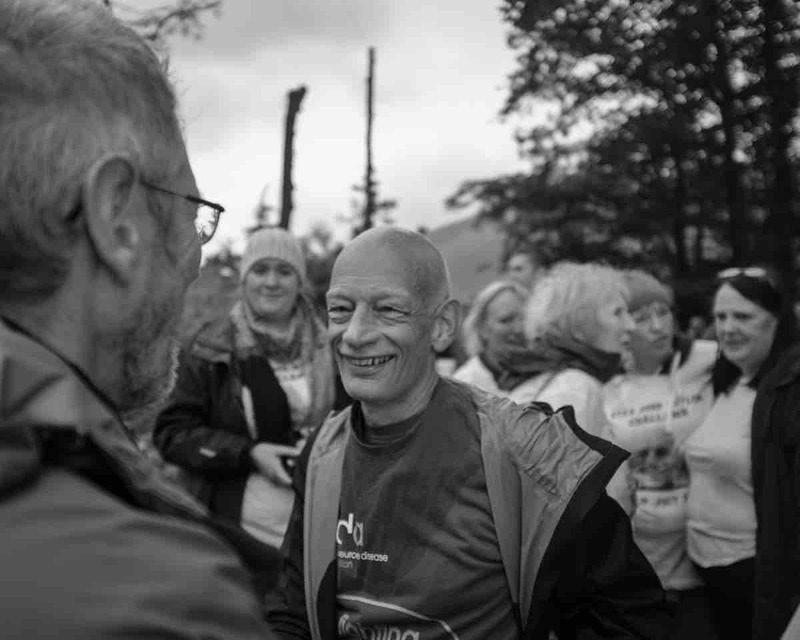 When Steve came down to Wasdale after finishing his Jos Naylor Challenge, I was happy to greet him with a hug. Steve is an inspiration. To years ago, when I was 30 years old, I´ve been diagnosed with Mysthenia Gravis, an neuro-muscular desease which leeds to progessive uselessness of the muscles. It´s purpose was a tumour in my chest. I was planing for my first Ultra at this time. I had to get this surgery and got on meds. Two weeks after leaving the ICU I laced my shoes an hit the trail. I wanted to feel alive. Luckily i got stable in weeks, an have no symptomes till now. But the Myasthenia is not gone. Last season I managed to finish several Ultras and an olympic triathlon. This year gearing up for the first 100k hoping to hit Zupspitz Ultra next year. Stories like Steve and Wynn´s remind me, that this wouldn´t be possible without my girlfriend which is the hardest but best crewer one can wish.